Everyone loves to host BBQs and other outdoor gatherings during the summer, but often we forget that this can be just as much fun in the winter. For example, imagine turning your deck into a winter wonderland with Christmas lights and decorations. The only thing that would make that the least bit undesirable is cold temperatures, but that can be rectified with outdoor patio heaters. Unless outdoor gatherings are something a family plans to do frequently and they have a lot of space to store the heaters when not in use, the best thing to do is contact us at Eagle Rentals in Statesville and Troutman, North Carolina about outdoor heater rentals. We can advise on the square footage that a unit can keep toasty warm, so enough units can be placed in the area to keep everyone comfortable as they enjoy the festivities. 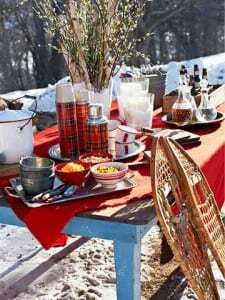 There are plenty of other types of outdoor gatherings that can be done in the winter. An outdoor wedding or reception, a skating party, or even a picnic! Practically any party theme that is done during the warmer months can be accomplished during the winter with the help of heater rentals. It could be fun to get the RSVP calls when you send out an invitation to an outdoor picnic in January! Companies that provide heater rentals, like us at Eagle Rentals, can work with any size gathering from the intimate backyard party to the tented 500-guest wedding reception. We offer many sizes from smaller patio heaters to mammoth heaters putting out 40,000 BTUs or more. Heater rentals also come in electric, gas and propane models. Visit our website to learn more!